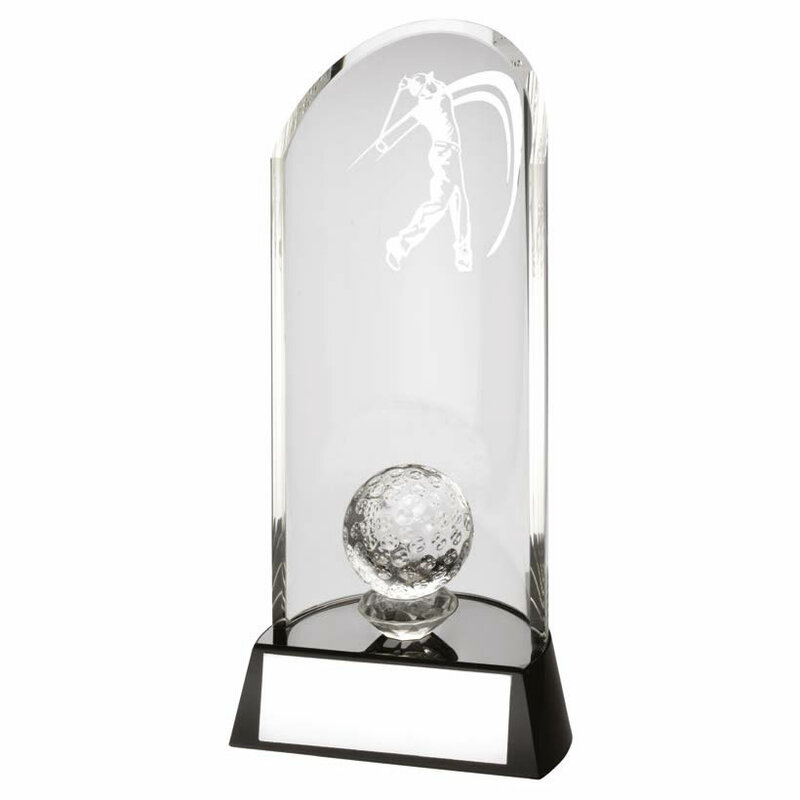 Superb glass golf award featuring a clear glass cylindical body with arched peak and golf player figure motif, enclosing a 3D glass golf ball. Set on a semi-circular black glass base with engraving plate. Available in three sizes, supplied in a quality presentation case. Offered with engraving options.